THE WORLD CUP IS FINALLY HERE! The World’s Most Adorable Dog…. I grew up watching all the games, and I still remember well when Brazil won (for the third time) in 1970, with a team that joined the one and only Pele’, Rivelino, Tostao and Gerson, to name four of my favorites. Most people in Brazil have their own routine to watch the games and the whole country pretty much freezes when Brazil plays. Our family gathered at my parents’ home, with my Mom sitting in her favorite chair, always wearing the same robe. 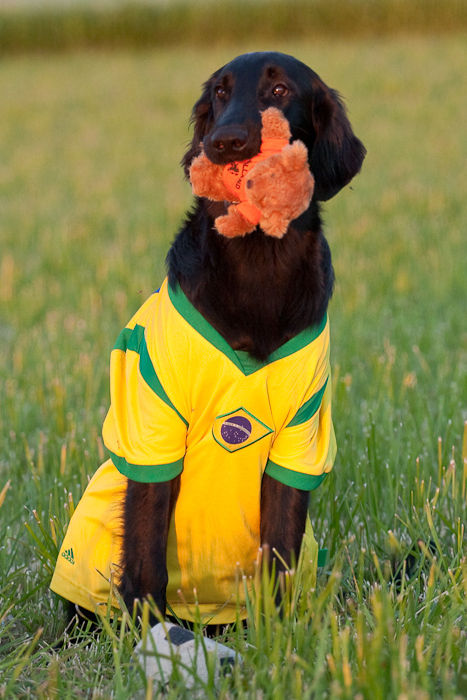 It turns out that she wore it in the final game of 1970, when Brazil beat Italy in a nail-biter to capture the World Cup. That outfit became, and remains to this day the “World Cup robe.” It was carefully washed and stored away, only to appear every 4th year after that 1970 game. Since I left the country watching the games hasn’t been the same, but to bring the right spirit to the festivities I like to make “caipirinhas“, Brazil’s national drink. It’s a blast of refreshing lime with “pinga” – a sugar cane distillate not too hard to find in the US. Wash the limes, cut both ends. Quarter the lime lengthwise, removing the central white pith which is bitter. 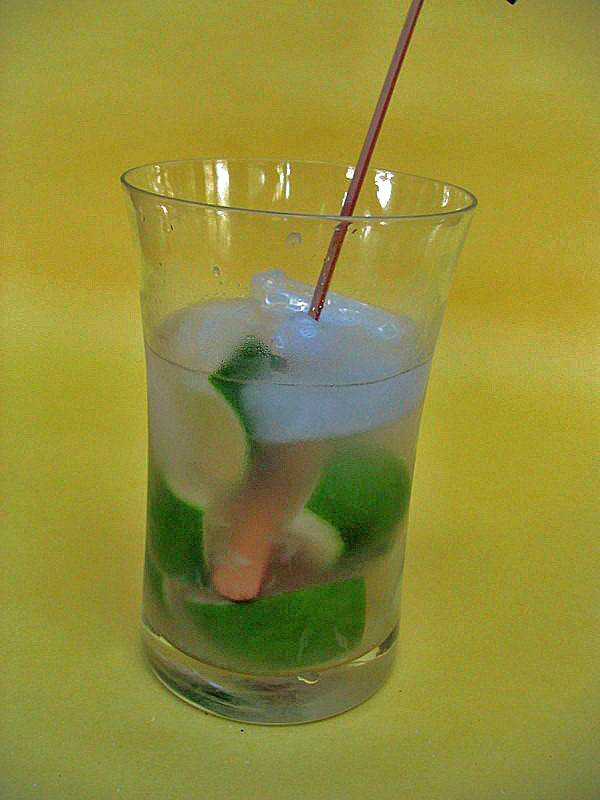 Cut each quarter in half crosswise and place the lime pieces in the glass. Add the granulated sugar, and working with a wooden pestle , crush the limes with the sugar. Crushing the fruit with a wooden pestle is essential to the authenticity of this drink, but such tools are hard to find in the States. If you don’t have one, maybe the handle of a heavy wooden spoon will suffice. Once you’ve crushed the limes fill the glass with ice cubes or crushed ice. Pour pinga to the top, mix with a spoon and serve. Comments: There are many types of pinga around. Some are clear, some are aged, turning yellow or light brown. Those are smoother, with less bite, and besides in capirinhas they may also be enjoyed by sipping. In the US, the chances are that you will only find clear pinga, among which the most popular brands are “Ypioca”, “51”, and “Pitu”. Recently in Food and Wine magazine the well-respected chef Daniel Bouloud shared his take on caipirinhas, and served them in wine glasses. My jaw dropped in disbelief when I saw the photos of this crime! Mr. Boloud would certainly not approve of Champagne served in a teacup, and drinking caipirinhas from wine glasses is just as bad. So please, stick to these basic rules: prepare them in a large, strong glass, one drink at a time using granulated sugar (no simple syrup, no agave nectar, no mint). Follow this site on Facebook! BRAZILIAN PAO DE QUEIJO: Love at first bite!